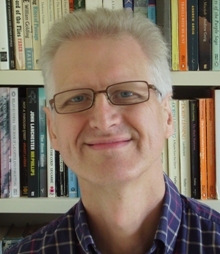 The Raymond Williams Society postgraduate essay competition for work grounded in the tradition of cultural materialism is named in honour of our late and much-missed colleague, Simon Dentith (1952-2014), former editor of Key Words and competition judge. The 2018 competition, our seventh, has been won by Matti Ron from the University of East Anglia with an essay titled ‘An uneasy avant-garde: the politics of formal experimentation in 1930s working-class fiction’. Matti wins £100 and a year’s subscription to the Society. The essay will be published in Key Words (subject to peer review) in 2020. Congratulations Matti from all at the Raymond Williams Society and Key Words. The competition aims to encourage a new generation of scholars working in the tradition of cultural materialism, especially those whose research is rooted in the work of Raymond Williams. 2017: Ryan David Furlong (University of Iowa) ‘”White Slaves” as “Black Slaves”: Re-evaluating the 19th c. Working-Class Autobiography within the (Con)texts of Transatlantic Abolitionism’.